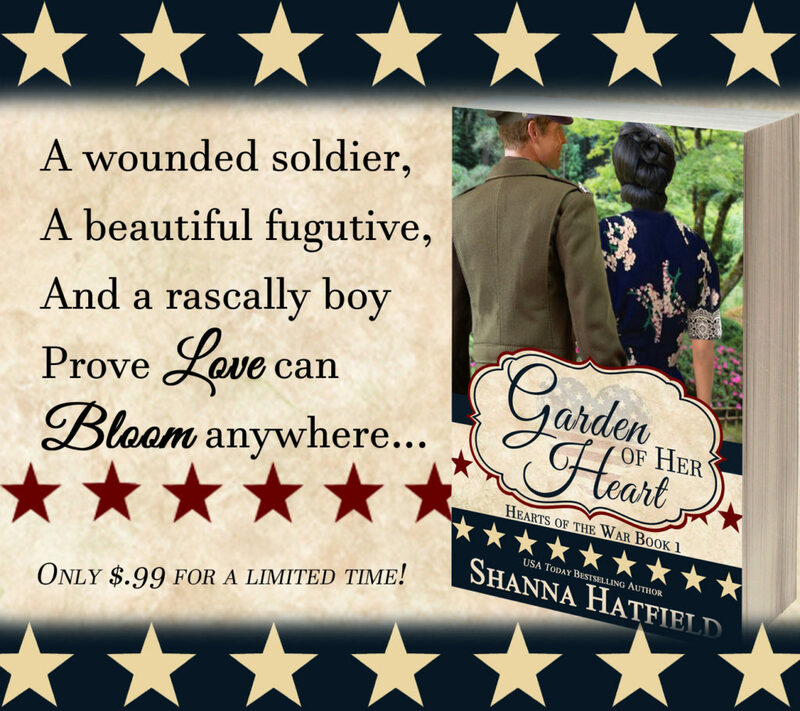 USA Today Bestselling Author Shanna Hatfield joins us with her latest release, a sweet World War II romance. She shares a little about how the story came to be. 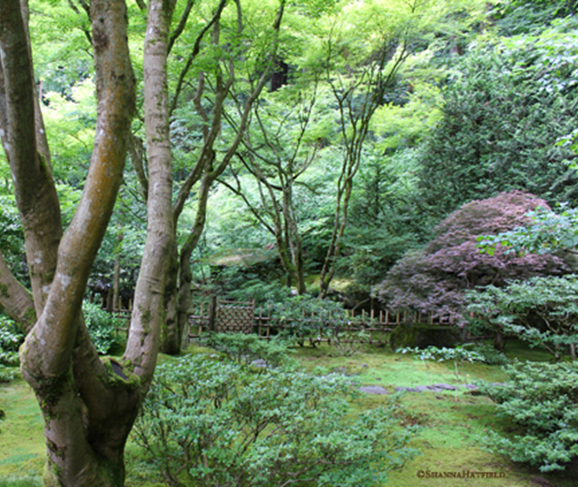 On a beautiful June day, my husband and I decided to explore the Japanese Garden in Portland, Oregon. As we walked up the hill through the cool trees to the gate, we talked about how the garden seemed rather hidden from the world. Once we stepped through the admittance gate, we both stared in awe at the beauty surrounding us. While we wandered along the moss-covered stones and ambled across the wooden bridges, the idea for this story began to percolate in my head. What if a girl lived in a secret garden? Why would she be there? What scenario would drive her into hiding in a Japanese garden up on a hilltop that no one knew was there? As we strolled among weeping cherry trees and vibrant flowering bushes, I blurted out my thoughts to my husband. Somehow, in a wonderful blending of ideas, we both arrived at the conclusion of World War II. A Japanese girl would have every reason to hide, had she the opportunity to do so, in 1942 when the government ordered all Japanese along the West Coast “military area” to report to Assembly Centers. That’s where the story began. Don’t miss out on this beautiful happy ever after. Get your copy today! “I can’t, Rock. I don’t want to be the cause of you missing out on the love of a lifetime.” She turned her head to the side and pressed it against his neck. Unintentionally, she heightened the yearning that already pulsed between them. Forcibly, he relaxed his hold on her. Unhurried, she tipped her head back, drawn into the bright warmth of his eyes. A smile curved her mouth upward and Rock tamped down the desire to kiss her again, even with the pastor watching their every move. 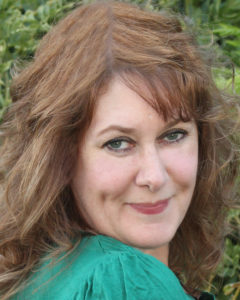 USA Today Bestselling Author, Shanna Hatfield. enjoyed reading the story very much. Loved Rock and Miko and of course Petey. loved the garden, it sounds beautiful . if you have read any of Shanna’s other books you have to read this one. a good clean romance. Thank you, Patricia, for stopping by, reading this post, and contributing to the conversation! I loved Rock and Miko’s story too. And wasn’t Petey a joy? I agree–a good, clean romance. =) Thank you so much! Thank you, dear friend, for hosting me today and sharing about Garden of Her Heart. You are so appreciated! You’re most welcome, Shanna. I’m honored to host your blog tour and share Rock and Miko’s love story with readers of sweet historical romance. 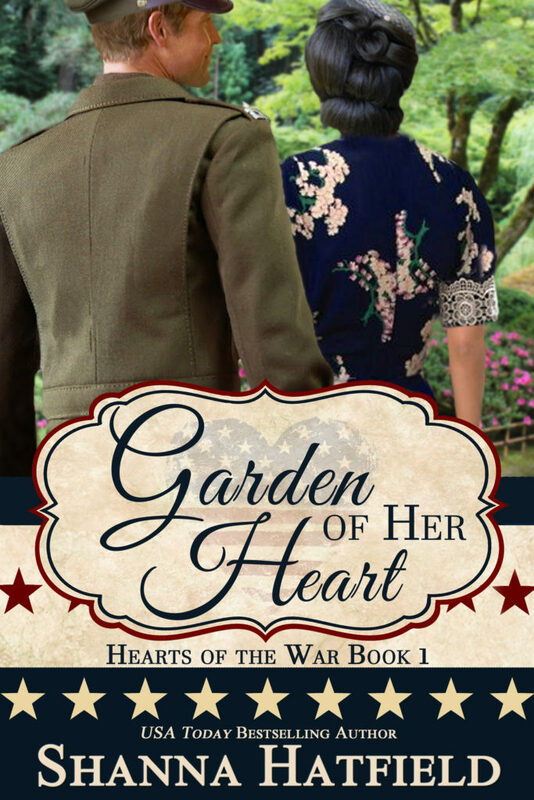 Garden of Her Heart is a wonderful story. Wishing you and this new title much success.